Refresh your space with our signature scent. Diffused in the lobby and grand rooms of Sofitel hotels worldwide, Essence de Sofitel is a distinctive, intoxicating fragrance created by Lucien Ferrero, one of the most esteemed perfumers in France. 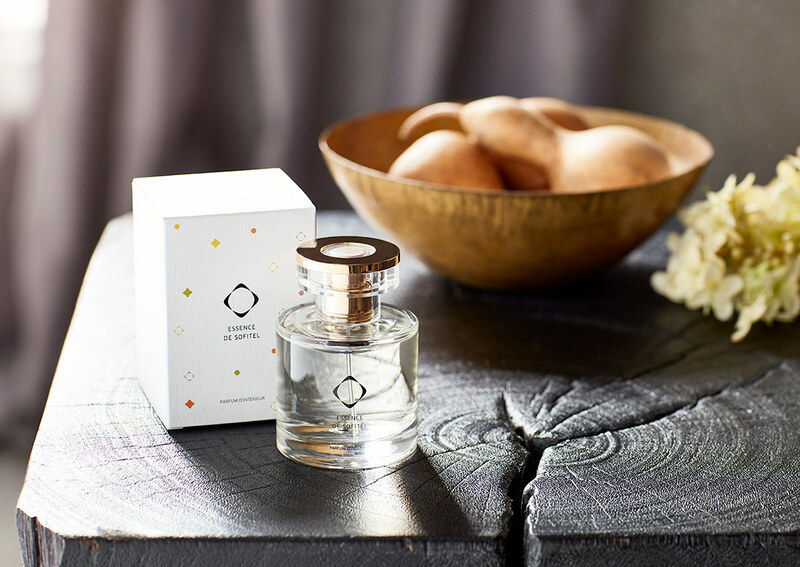 It artfully blends together notes of refreshing bergamot and earthy sandalwood, crisp lemon leaf and the sweet floral charm of white rose, jasmine and lily of the valley. With our room mist, effortlessly create a charming mood at home.